Does Your Charlotte Carpet Cleaning Professional Do This? Does Your Carpet Cleaning Professional Use This 4-Step Process? Have you ever wondered what makes a perfect carpet cleaning experience? Why is it that some cleaning professionals can make your carpets smell and feel brand new, while others leave them looking dull and lifeless; or prone to getting dirtier than they did before? Well, the thing is this. There are four important elements to carpet cleaning, and they should be standard procedure on each and every job. Mess up one of them, and the other three will have to pick up the slack. And if you mess up all four of them… well, then you’re just asking for trouble, aren’t you? The perfect carpet cleaning experience starts with the right cleaning solution. 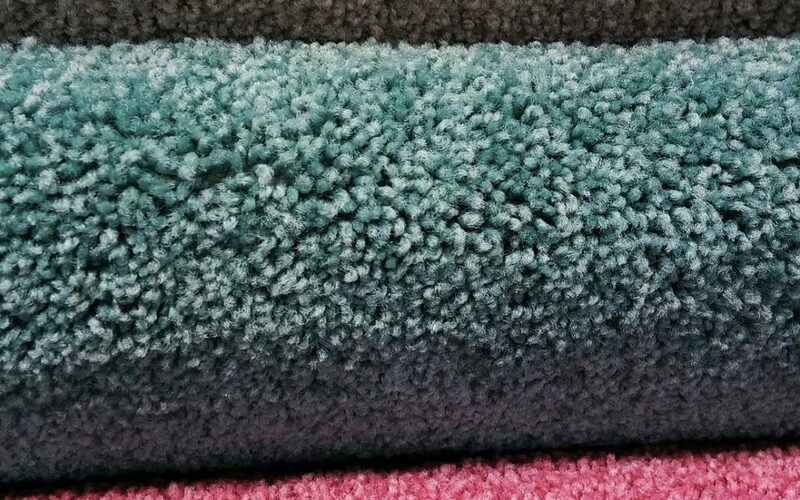 Different carpet fibers have different properties, so the cleaning solution has to be chosen with care. Unfortunately, some cleaning companies use a one-size-fits all approach, and they apply the same solution to any carpet, no matter what it’s made of. While this might not be a problem if your carpet is made of synthetic fibers, it could spell disaster if it’s made of wool or silk. Natural fibers are much more delicate than man-made fibers, so they need to be treated with special care. Carpet fibers are ph-sensitive. You need to use the proper ph level to release dirt. At the same time, you have to re-balance the ph once the cleaning is done. Otherwise, the carpet will remain susceptible to damage. It’ll also get dirtier more quickly than it did before. Only a professional ph-balancing solution can do this properly. Store-bought products are simply unable to get the same results. But choosing the right solution is only one small piece of the puzzle. In a way, cleaning a carpet is a lot like shampooing your hair. Sounds ridiculous? Well, hear us out. You wouldn’t pour shampoo on your hair and just rinse it off, would you? You’d massage it in first. That’s the only way you can reach your scalp and achieve a thorough clean. Carpet cleaning works in much the same way. There’s no point in spraying the right solution on your carpet if you’re simply going to wash it off straight away. Dirt needs to be dislodged and broken down before it can be vacuumed; and the only way to do this is through vigorous agitation. At the risk of stating the obvious, time is definitely a factor when it comes to carpet cleaning. Chemicals need time to work, so they can break down the nastiness in your carpet as much as possible for easy removal. Agitation allows the cleaning agent to stay in long enough – and go in deep enough – to react with the dirt in the carpet. But no matter how thorough agitation is, it’s still a good idea to wait a bit before you extract the solution out of the carpet. A good rule of thumb is to let the solution sit for five to ten minutes after agitation. This will ensure it has had enough time to react with the carpet fibers and break down dirt and germs as much as possible. The higher the water temperature, the more effective the cleaning process will be. Ideally, the water should be as hot as 210°F. And if the carpet has old stains, the temperature should be even higher. Unfortunately, rental units are simply unable to reach these temperatures. In fact, they typically use tap-water heat; and by the time the water is released, it’s cold. A professional-grade machine is hooked up to special heat exchangers that produce heat while the machine runs. This heats the water up much more, and ensures the optimal temperature for a truly deep clean. Next time your carpets are up for a clean, choose wisely. Never settle for a less than stellar experience; and don’t be fooled by promises of quick results at rock bottom prices. Your carpets will thank you! Is your carpet cleaning experience less than perfect? We can help. Click here for a free quote. Newgen, very good article! We run a carpet cleaning business in chandler arizona and I wish customers knew these valid points. so many shady carpet cleaners out there!! thanks for the informative post. i hope more people can have a chance to find and read it! Thanks for your comment! Interesting how our article made it all the way out to Arizona! How did you hear about us and this blog? It is a shame how many “carpet cleaning companies” out there cut corners and the customers don’t even know it. We are founded on quality and integrity and want our customers to be 100% happy with the end result! Thanks again for reaching out and commenting – we really do appreciate it! Hey, thanks for reaching out! We appreciate the comment! It is interesting how our blog/article made it all the way out to Arizona, how did you hear about us/blog? It is a shame how many so called “carpet cleaning companies” try to cut corners – here at NewGen we are founded on quality and integrity – always making sure our customers are 100% satisfied and happy with the end result. Thanks again for reaching out ! Sorry if you get a response twice, I am not sure if my first comment made it out. It does depend a little bit on the solution you’re using, but for the most part, it is like washing your hair. I opt for agitating it once as I apply it, to get it into the carpet, and once more after a few minute, to make sure the solution works its magic. Hi, nice post. We’re working on a sort of pre-survey for carpet cleaners and I saw your post and thought you’d have a good answer. Would you do anything different for cleaning carpet tiles? Great post NewGen Restores! I stumbled on your blog and website searching for ‘professional steps to clean carpet’. Quite the informative read so thank you for sharing. We are a carpet cleaning company in Irving TX. A couple of weeks ago, while on a job, a client was surprised that we were checking her carpet fibers to make sure we were using the right cleaning solution. She said the previous carpet cleaner did not do that. Thank you for this information! Great read. Quite informative and easily to understand. I had my carpets cleaned and was given the same advice on carpet care. But I don’t think that they used this 4 steps you are talking about in this article. Next time when I’m going to call a professional carpet cleaner I’m gonna ask them first that if they do the same. Thanks for the help.